It’s a wrap on recording and we can’t wait to get back to travelling with the Eighth Doctor (Paul McGann), Liv Chenka (Nicola Walker) and Helen Sinclair (Hattie Morahan). Ravenous 2 follows on from the electric Ravenous 1, released in April, which starred Mark Bonnar as the Eleven and Nicholas Rowe as The Kandyman making a sweet return. Ravenous 2 will be released in October this year with Ravenous 3 and 4 being released in 2019. More details, including storylines, will be coming soon – so watch this space! You can order Ravenous 1 to 4 individually at £23 on CD or £20 on download, or order all four box sets together in a bundle at £90 on CD or £80 on download. 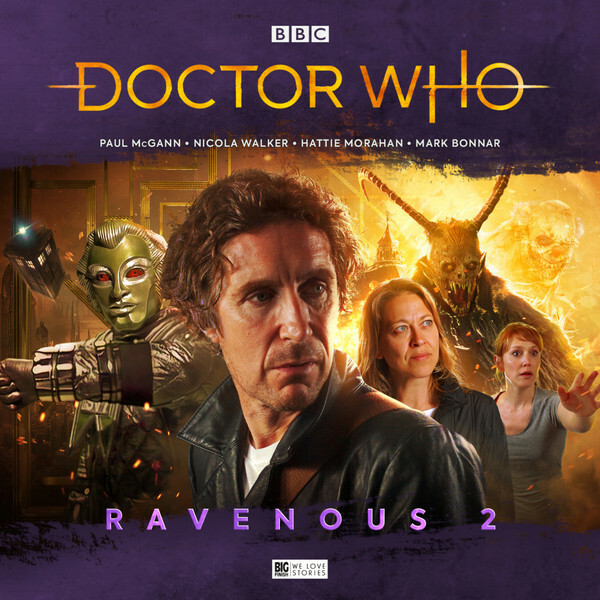 And don’t forget that the Eighth Doctor continues his adventures in The Time War, with the second part coming out in July this year – you can listen to the trailer below.